It’s bedtime and you are feeling hungry so what should you eat? We often reach for the wrong bedtime snacks and think they are absolutely healthy, but then have trouble falling asleep without knowing the reason. Believe it or not, what you eat before going to bed can greatly affect your sleep quality. It’s difficult to go to bed when you are starving and there’s no shame in having a snack right before hitting the sack, but you should make healthy choices and avoid overeating. Your bedtime snack choice should be under 200 calories and it shouldn’t contain caffeine. Read on to discover some of the worst foods to eat before bedtime and make sure you avoid eating these things at all costs. Otherwise, you can gain undesirable body fat, disrupt your sleep and jeopardize your health. 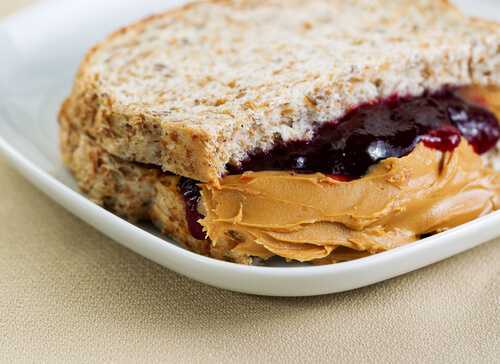 Almond butter, peanut butter, or any other nut butter can cause weight gain if you make it a regular bedtime snack. Although numerous studies show that peanut butter can help lose weight, there are also researches that show peanut butter can cause weight gain. When I suffered from eating disorder, I consumed nut butter each night and gained about 25 pounds, and it was not only a terrible habit, but it also was embarrassing. If you are feeling snacky late at night, don’t reach for any nut butter. I suggest you to drink a big glass of unsweetened almond milk. Almond milk contains calcium that will help take away your cravings, calm your nerves, and help you sleep better. You can sweeten your almond milk with stevia or cinnamon, and your healthy and tasty bedtime snack is ready! If you still want to eat some peanut butter before bed, feel free to do it, but make sure you consume it in moderation and don’t make it a regular bedtime snack.